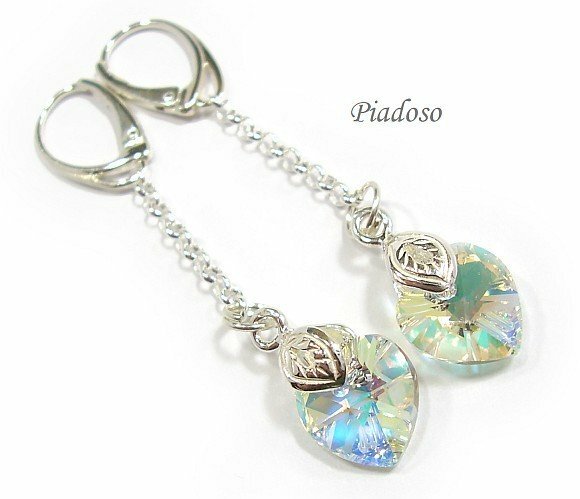 Beautiful silver Earrings with Swarovski Elements Crystals: AURORA LONG. These genuine Austrian crystals are made in exclusive Swarovski Elements collection world-known for best sparkling crystals. Beautiful crystal HEARTS in unique opalescent color AURORA. Absolutely beautiful jewellery set includes silver earrings and pendant with original Swarovski Elements.